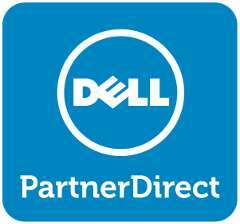 We take pride in being a certified Dell partner / reseller / consultant / dealer. B2B Cloud Solutions and its top-notch Dell specialists have demonstrated extensive experience in Dell solutions. Dell is one of the world's leading suppliers of PC hardware, along with a broad range of technology products for the consumer, education, enterprise, and government sectors. Our expert Dell consultants sell, install, configure, support and maintain Dell products, software and solutions and we help small business clients as well as large enterprise clients. If you are looking for a Dell specialist to partner with then look no further. Our Dell solutions are ideal for companies in the following industries and more. Contact us today to learn more about how we can help you with a quality Dell solution.